The first thing you notice about the death penalty is how much preparation is involved. In two years, Pakistan has carried out 419 executions. 419 death row prisoners wore a hood as six warders accompanied them to the scaffold each time. 419 bodies remained suspended for 30 minutes after being hanged. Some of these bodies likely ended up in prison graveyards, unable to break free from jails even in death. On December 17, 2014, Pakistan lifted the moratorium on the death penalty in the wake of the tragic terrorist attack on the Army Public School in Peshawar. Originally lifted for terrorism related offences in March 2015, the moratorium was lifted for all capital offences. In the face of international opposition, the government has consistently maintained that the death penalty is the only effective means of fighting terrorism. However, an analysis of the 419 executions that have occurred in less than 2 years by Justice Project Pakistan (JPP), a rights group, reveals significant flaws in this narrative. In Pakistan, criminal culpability is at best, widely misunderstood and at worst, casually measured with irreversible consequences. The numbers that confirm this are frightening. 27 offences are liable for a black warrant in this country, explaining the macabre achievement of having one of the world’s most populated death rows. The 100th prisoner to be hanged after executions resumed was mentally ill, unaware until his death as to why he was being punished. Undiagnosed until 2014, Muneer Hussain was mentally unwell since childhood and later, killed two family members. There have been at least six juveniles executed since the moratorium was lifted in December 2014. 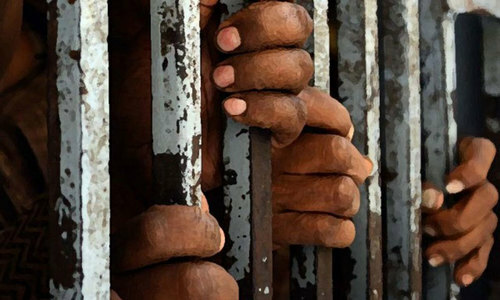 Between then and March 2016, at least 444 mercy petitions were sent to the President of Pakistan, including one for schizophrenic prisoner, Imdad Ali and Abdul Basit who is a paraplegic prisoner. So far, the known number of presidential pardons granted stands at zero. In Pakistan, the judicial system that enables the carrying out of death sentences warrants close examination. The legal infrastructure is faulty, mired in red tape, beholden to power, creating a permissive environment for the routine miscarriage of justice. In November this year, the Supreme Court exercised its suo moto right to reassess a case of kidnapping in Bahawalpur in Punjab, for which two brothers had been sentenced to death. Unsurprisingly, the prosecution’s case was riddled with contradictions, with insufficient evidence and incongruous eyewitness testimonies, and the SC acquitted the condemned prisoners. Only Ghulam Qadir and Ghulam Sarwar were no longer prisoners, having been executed last year. Given the Bahawalpur case, it is critical to overhaul a system that hangs the living, and exonerates the dead. The dearth of resources for law-enforcement incentivises corruption and other abuses of authority. Police lack forensic capabilities and other reliable means of investigation. As a result, there is over-reliance on confessions, easily obtained through torture. JPP uncovered 1,424 cases of torture in just one district of Faisalabad from 2006 to 2012. At 17, Abd-ur-Rehman was subject to such brutal torture following his detention that he admitted to every accusation levied at him, including being told that his name was Azam. Today, no one in Karachi Central Jail, where he remains imprisoned, knows him by the name he was born with. His involvement in an attempted burglary has kept him on death row for the last 18 years — well over half his life. Every defendant is entitled to effective legal counsel at all stages of proceedings under the provisions of the International Covenant on Civil and Political Rights, to which Pakistan is a signatory. Though Pakistan provides needy capital defendants with counsel at state expense, the quality of representation is poor. In fact, it is generally not perceived as acceptable for lawyers to be seen in a jail. Such scant contact between lawyers and their clients in criminal cases actively enables the miscarriage of justice, given the former essentially forgoes the chances of uncovering potentially exculpatory evidence. But with a fee below the minimum wage (a minimum of Rs2,000, with a daily fee of Rs200), there is little motivation for a state-appointed attorney to pursue a case. International law dictates that capital punishment be reserved only for the most serious crimes, subject to fair and legitimate processes that protect a defendant’s basic rights and provide avenues for post-conviction relief. 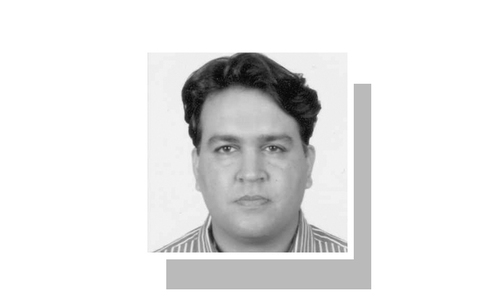 Pakistan has not lived up to its obligations. 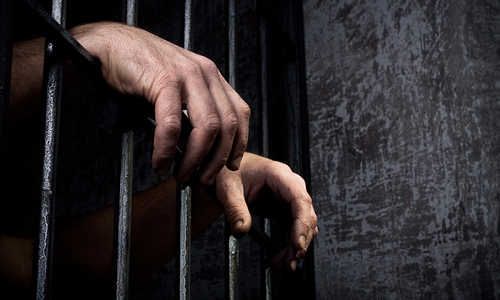 At each stage of a defendant’s encounter with this system, severe violations emerge. Calling for anything short of a complete moratorium on executions means the continued killing of individuals whose rights have repeatedly been violated from the time of their arrest to their conviction and beyond. Sending even one innocent person – and the government sent two in the Bahawalpur case – to the gallows should prompt this step. Given these systemic failings, legal reforms, while an important first step, are inadequately implemented at the local level. An executive mechanism to examine mercy petitions must be assembled which refers credible mercy petitions to the presidency. Because of the lack of transparency, it is recommended that independent actors such as the National Human Rights Commission, a statutory body constituted under the National Human Rights Commission Act 2012, conduct investigations into cases. Wrongful and unjust death sentences must be commuted. Because the death sentence warrants a high standard of proof, the state should also commute cases for individuals whose convictions were based primarily on confessions, in recognition of the high prevalence of custodial torture and inadequate safeguards in place. Passing the Anti-Torture Bill, which has been pending since 2012, would be a good place to start. In short, Pakistan’s criminal justice system needs to undertake a detailed review of the death penalty. The process should be improved so that only the deserving gets punished. You should suspend a law just because it's not properly implemented. Partially agree with the authors. Now the big question, how would Pakistan should handle capital crimes? People like to show soft heart on big issues like this but have no concrete solutions. Ask a victim family who has lost their loved ones. In Pakistan, only the weak are being awarded the capital punishment. The rich and resourceful get free notwithstanding how gruesome crime they commit.